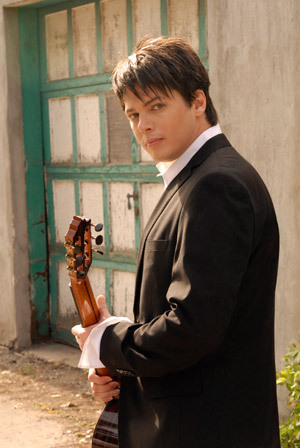 WHEN: Friday March 8, 2 p.m.
Daniel Bolshoy will play at UBC’s Okanagan campus as part of the 2012/2013 Minds and Music concert series features early Spanish guitar music of the 16th to early 19th centuries. He will appear in a free concert, open to the public, at UBC’s Okanagan campus on Friday March 8, 2 p.m. in the ballroom at the J. Peter Meekison Student Centre (University Centre) 3272 University Way. Bolshoy is regularly praised for his friendly and informative spoken introductions and progressive programming of solo and chamber music. His world-wide concerts take him from prestigious international concert stages to remote villages and house concerts. The event is hosted by the Minds and Music concert series. Minds and Music concert series aims to present the world’s finest music by renowned performers, and put it all into a contemporary context through informal lectures by faculty and artists about the music, its past, and how it relates to the present.